A few months ago I started to blog about books in earnest. I am still trying to hit my stride and I am still trying to post daily. Like my reading, I feel that I am ever behind and never going to catch up. But one of the best things about doing this was starting to follow readers and writers on Twitter. The lovely Neil Gaiman doesn’t count since I have been following him forever and he is a Twitter God. Luckily I found #fridayreads. According to their FAQ: “#fridayreads is a hashtag on Twitter. 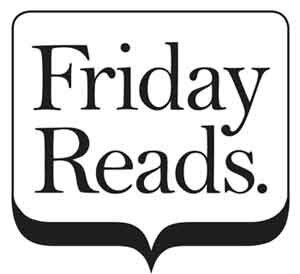 Every Friday, thousands of people post what they’re reading with this tag.” But really that is overly simplistic. For me #fridayreads is confirmation that there are people out there who are like me. People who are dedicated readers, lovers of books, people who will read the back of the cereal box 100 times because there are words there and words must be read. So go and tweet your #fridayreads or join in on FaceBook. Be counted because reading counts.